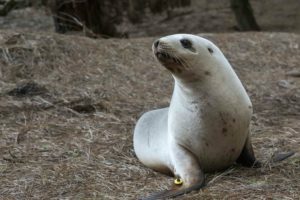 Walking along beaches in the Otago and Southland area you may come across individual or groups of sea lions. 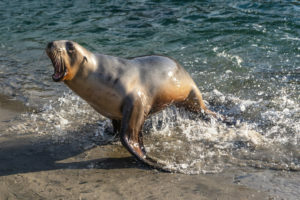 This is a thrilling experience but it is very important to keep a distance of at least 10 metres between you and the nearest sea lion for both your own and the sea lion’s safety. 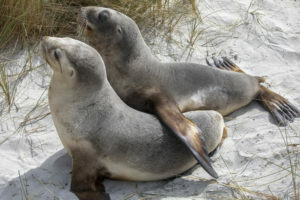 Dogs must be controlled by leads within 20 metres of sea lions. 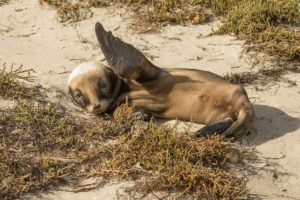 Sea lion pups and yearlings can be very inquisitive and at times can approach people out of interest. If this happens, back away slowly, never run. 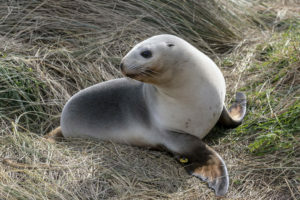 Try to be as uninteresting as you possibly can! 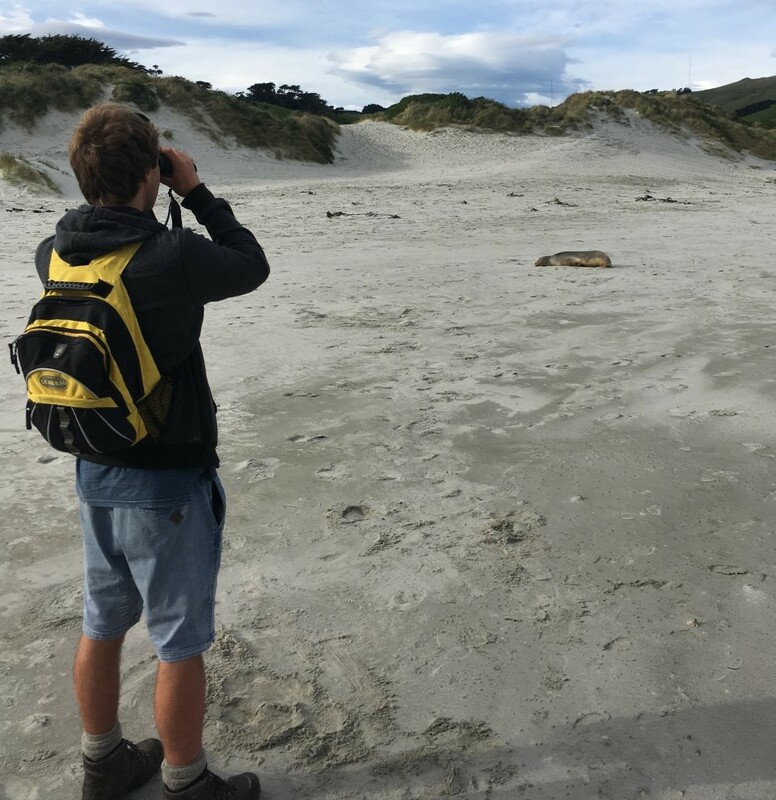 Whilst numbers of sea lions are increasing on the New Zealand mainland, their numbers are still thought be below 300 so it is a privilege for us to be sharing our beaches and coastline with them.